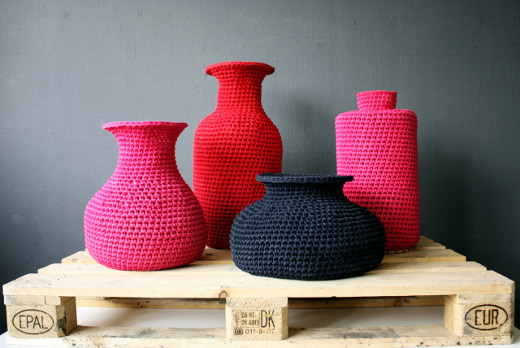 Ornaments woven with t-shirt yarn are very beautiful and special because they have a nice texture and also look different, with a very modern touch. 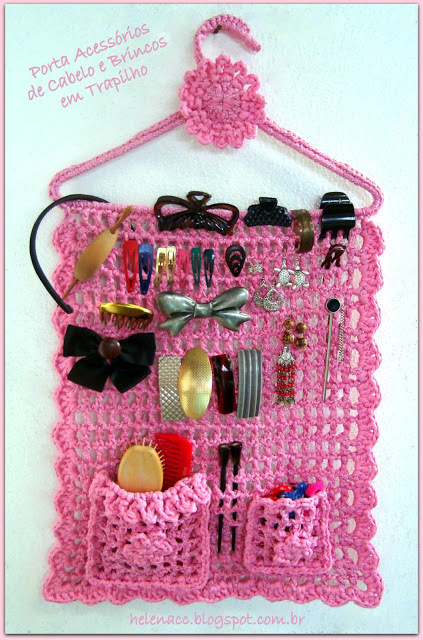 Objects woven with fabric can be merely decorative but also functional: a basket will be useful for organizing objects and you can also make organizers to store accessories like the one our ingenious friend Helenacc has made. Many will agree with me that the vases shown in the main photo are very beautiful and you can also give them many utilities in your house. If you cover bottles with fabric you can put a cork as a lid and use them to pack homemade recipes. 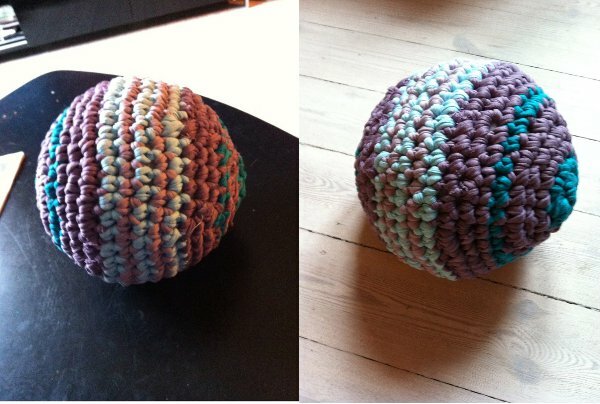 These balls of woven fabric are very decorative but they can also be a toy for children. They’re very nice and surely very fun to make because you’ll have to combine colors according to the colors of the place of the house that you want to decorate. Helennacc always surprises us with its creative works. And today you’ll see one very original and useful: an organizer where to store your accessories. It’s made from a hanger and then woven into pockets… isn’t it great? 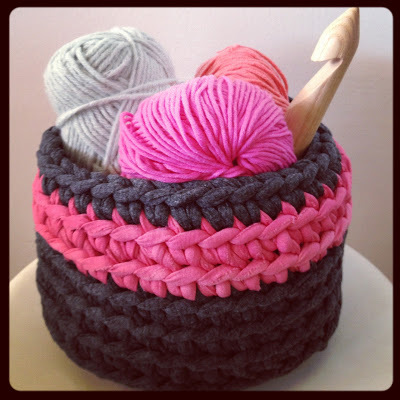 Finally, today we’ll share the link to a pattern of a medium basket in two colors, very nice to decorate and that has a host of utilities such as organize wool or t-shirt yarn. These are beautiful ideas to keep in mind when choosing a decorative and useful fabric project that will help you keep your home tidier and nicer. 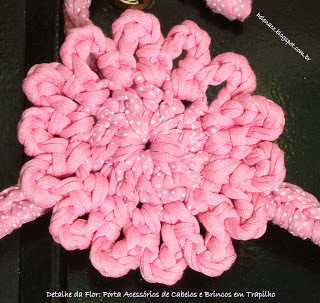 This entry was posted in Crochet and tagged crochet, crochet balls with t-shirt yarn, Ornaments woven with t-shirt yarn, t-shirt yarn organizer, XL crochet basket on December 6, 2017 by Sue.